I’ve never been to Boston or lived in Boston. But I certainly felt the anxiety as the news spread that a bomb went off near the finish line of the Boston Marathon last Monday. As someone who feels closely tied to the running community, I was shocked to hear the news. I used to run quite often and have lost sight of that goal in my life. Of course last week was the start of me trying to get back into the runner’s stride. I promised myself that this tragic event wasn’t going to stop my plans, and I stayed motivated and got out on the trails for a few runs (and one really long walk). I know the community of runners will not be discouraged and detoured by this horrific event. But I want to send my thoughts and support to the many people in Boston and anyone who near or far who felt the anxiety of last week’s events. Tragedy’s like this will neither be fully understood nor can it break a community this strong! A few friends and I have already registered for the Run For Boston 5K in the north suburbs of Chicago. You can register for a virtual 5K or find a local one to join. 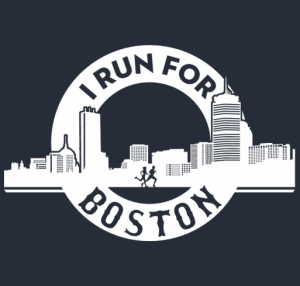 The registration fee’s for the race will benefit those hurt in Boston last week. Hope to see you there! Dan and I have said on many occasions that we need to start doing more fun things that don’t involve sitting at a bar. Don’t get me wrong, meeting friends for a drink will always have it’s place. But we wanted to try new and exciting adult-like things! I found a groupon for Flip Crepe Making Class and saw it as a fun event that could potentially add to our meal planning and cooking fun. So I bough as our Valentine’s Day present for us as a couple (Dan got me a waffle maker for valentine’s time, can you tell we love food and cooking?). So I booked our class at the end of February (I know I’m late to post this fun experience) and we headed to the city with very little expectations. We were the first to arrive at the class because we left on “Dan” time. 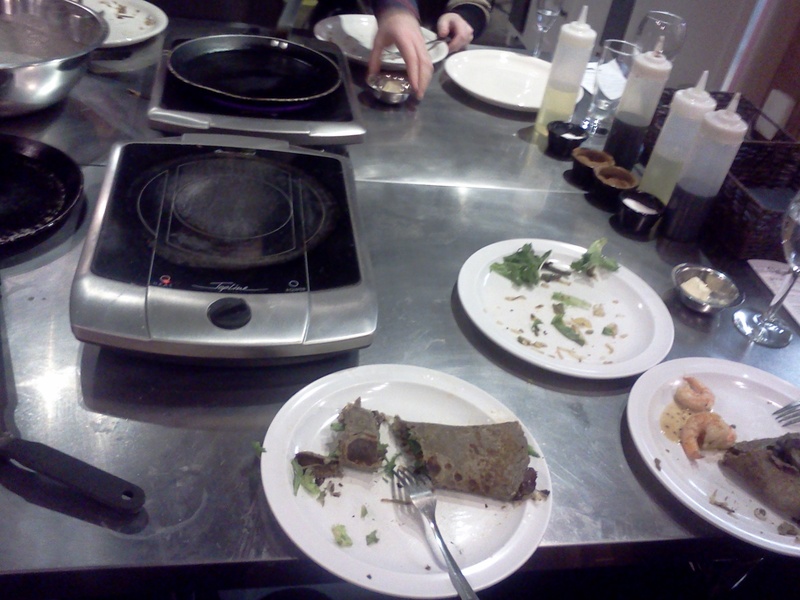 Once class began, we made a simple batter for a yummy dinner time crepe. First of all, I got scared. The crepe batter and the crepe were a strange greyish color. It very much looked like gyro meat. Yes, we’re vegetarians but aren’t opposed to eating things that look like meat. The first crepe made was kind of a mess. Dan tried to flip it and failed, so it fell apart. 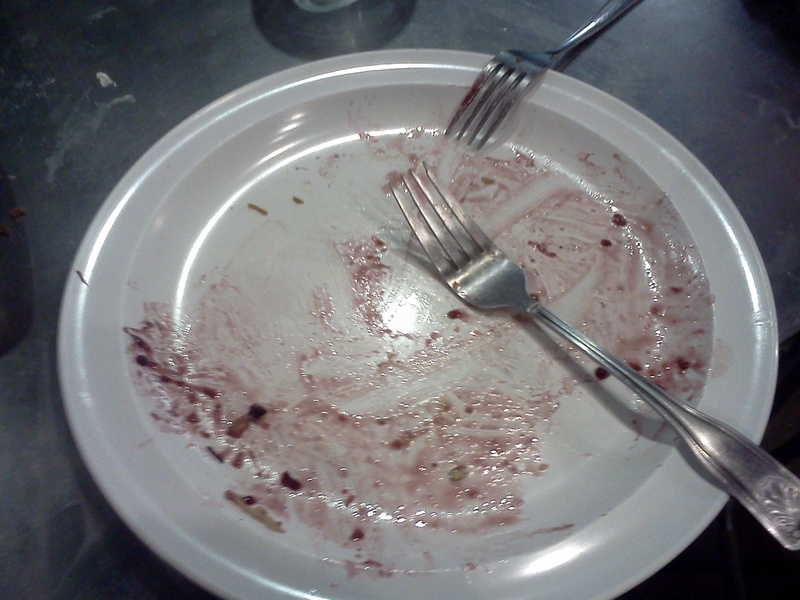 So we ate the crepe by itself and wow did it taste yummy! Then I tried to flip a crepe and it landed in our neighbor’s skillet and on top of their crepe. I was able to grab mine before damaging the crepe they were making, but we all had a good laugh. The next few crepes we made turned out great. The toppings we got to chose from were a veggie mixture and then shrimp and I think chicken. Since Dan missed having shrimp, he went to town on some shrimp crepes, but I stuck with the veggies. The class instructor made a sweet crepe batter and brought it around for everyone to make some. This is when I got excited because I love my desserts and sweets. There were more fruit jams and stuffing options for the sweet crepes, and I was a happy gal. Overall, this was a great date night. We brought home some leftover batter and made crepes a few days later. I even managed to triple flip a crepe and get it back in the pan without ruining the crepe itself. Although this post is a little overdue, we meal planned to make crepes this week. So I thought it a good idea to reflect a little on the class. 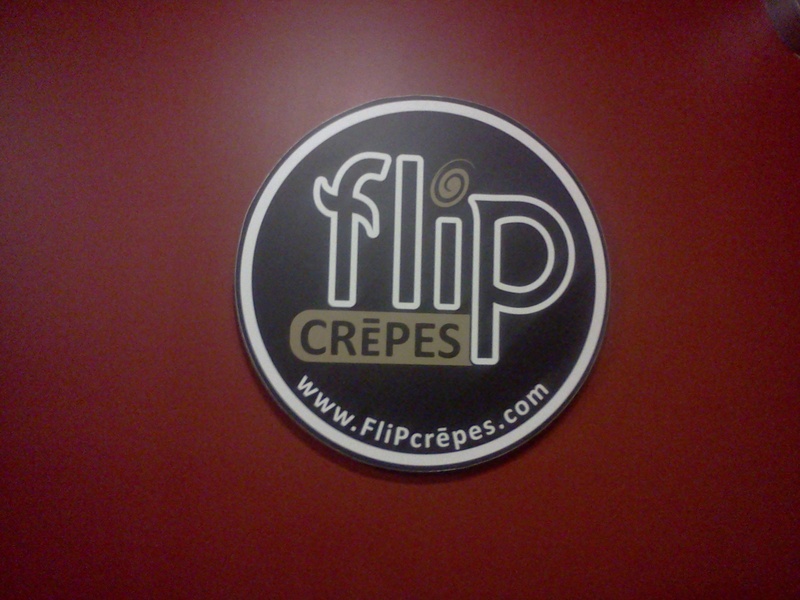 The groupon was worth it, and I would definitely consider another cooking class at Flip Crepes and include crepes on my meal planning even though I have yet to find a crepe spatula in stores.